A Senators' prime role is to provide sober second thought to decisions reached by Members of Parliament. They are to serve all Canadians. They are, until and unless changes are made to the Constitution Act, serving until the age of 75. Stephen Harper's Conservative Party demands detailed information from all seeking leave to stand at a Party Riding nomination convention. Those the National Party considers potential embarrassments to the Party, no matter the opinion in the constituency, cannot have their names placed in nomination. Charges of drinking on the job, of sexual harassment, whether substantiated or not, and admitted failures to pay child support would disqualified an individual from seeking to represent the Party in an election. 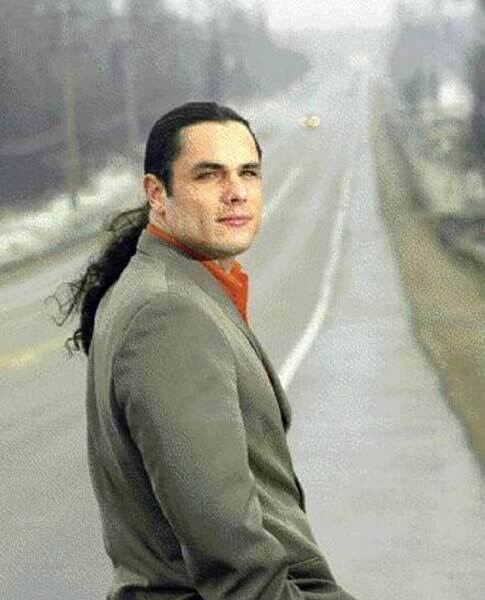 Patrick Brazeau (above) appointed Senator at the age of 34 will have 41 years before his Senatorship ends, though he has had just such a "litany of charges" laid against him. It must be assumed the same due diligence was not employed in selecting this Senator as in a potential Party candidate. Either that or a differing standard was applied. In either case, the Prime Minister holds responsibility for one of his appointees being the centre of an embarrassing controversy.